The much anticipated practical educational manual for General Practice (GP) trainers, programme directors, and other teachers and educators in primary care has finally arrived. This extensive, full-colour guide is written by a select group of hands-on educators who are passionate and knowledgeable. The book captures their wisdom and vast experience in an accessible and practical way. Although it’s aimed at GP training, there are many chapters in this book that are relevant and transferrable to teachers and educators in areas outside of General Practice (and worldwide). We are sure that GP appraisers, Foundation Year trainers and other medical/nursing student educators will find the detailed comprehensive explorations inspirational. Beautifully presented, the chapters cover a wide educational framework employing a variety of presentational methods such as flowcharts, diagrams, conversational pieces, scenarios and anecdotes. Each chapter has a corresponding webpage containing over 300 additional resources - providing practical tools as well as additional reading material. This book was awarded the Royal College of GP’s ‘Paul Freeling Prize’ in 2013 for merititious work in the field of General Practice education. It is also used as the foundation textbook for the Postgraduate Certificate in Medical Education (PGCE) in at least seven UK universities. 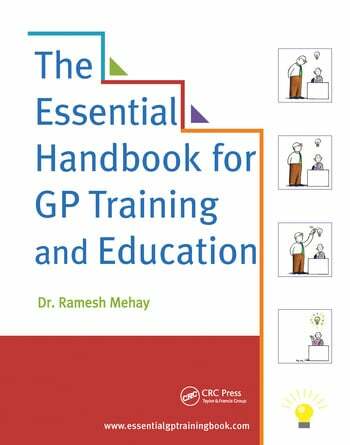 The Essential Handbook for GP Training and Education adopts a relaxed, personable approach to primary care education that won't leave you with a headache. Quality – how good are we?